Depression is the most commonly diagnosed disorder among patients with traumatic brain injury (TBI). Understanding the association between the depression and the cognitive and physical function has important clinical implications in promoting the quality of life. Although evidences existed that patients with TBI experienced depression, cognitive impairment, and reduction in physical function. However, the relationship among these three conditions was not well understood. In the current study, we used the Hamilton Depression Scale, Montreal Cognitive Assessment-Basic Scale, and Activity of Daily Living Scale to assess the conditions of depression, cognition, and activities of daily living (ADL) among 145 TBI patients. To better understand the relationship between depression, cognition, and ADL, the data was analyzed using binary logistic regression. The Odds Ratio (OR) was computed to explore the risk of cognitive impairment and low-activities of daily living with depression. A total of 62.9% (n = 90/145) of patients lived with depression. 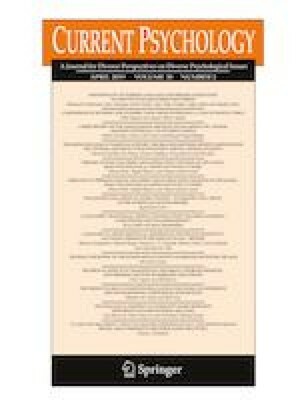 The risk of cognitive impairment was 2.30 times higher for patients with depression than patients without depression (OR = 2.30, 95% confidence interval [CI] 1.08, 4.90), and the risk of low-activities of daily living was 5.14 times higher for patients with depression than patients without depression (OR = 5.14, 95% CI 2.17, 12.14). Compared to patients without depression, patients with depression scored worse on tests of language and visual-spatial perception, and were slower on tests of executive functioning. In summary, this study provides initial evidence that depression significantly affects the cognition and ADL of TBI patients. YL, LC and YW wrote the manuscript and performed the statistical analysis. QC, WL and QG revised the manuscript. All authors read and approved the final manuscript. This paper is supported by the China Postdoctoral Science Foundation (2018 M632285), Zhejiang Natural Science Foundation (LY19H090015) and Postdoctoral Research Funding Program of Jiangsu Province(1701078C). All procedures performed in studies involving human participants were in accordance with the ethical standards of the institutional and/or national research committee and with the 1964 Helsinki declaration and its later amendments or comparable ethical standards. The Institutional Review Board of Nanjing Medical University approved all the protocols. This article does not contain any studies with animals performed by any of the authors. All authors declare that have no conflict of interest.